By now, Weber fans know that the image of the red Weber kettle is not only iconic, but this trademark is proudly displayed on our official Weber logo, which is why we are bringing the Original Kettle Premium Limited Edition red charcoal grill back for a limited time. 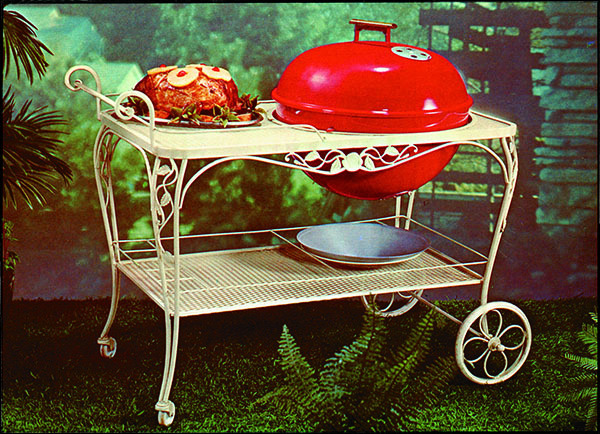 But, our newer fans may not know the history behind this iconic grill. Most early Weber kettles were black, and came in various sizes, starting with 18 ½”, 22 ½” and 26 ¾”. We also had 14” Smokey Joes, and our Ranch kettle to round out the family. But our founder, George Stephen was a man of the people. Folks asked, why only black? How ‘bout some colors? And he delivered! Starting in 1961, we had The Easterner (18 ½”), The Statesman (22 ½”) and the Aristocrat (26 ¾”) in colors, one of which was called “Hunter’s Pink”. To anyone’s eye or description, they were red…….the first red kettles sold by Weber. And people loved them! The first ones were enameled for Weber by Ingersoll Rand in Chicago. The red was slightly orangy-red. Other vendors who produced red lids and bowls for Weber were Benjamin Electric in Des Plaines, Vitreous Steel Products Company in Nappanee, IN and Lawndale Industries in Aurora. 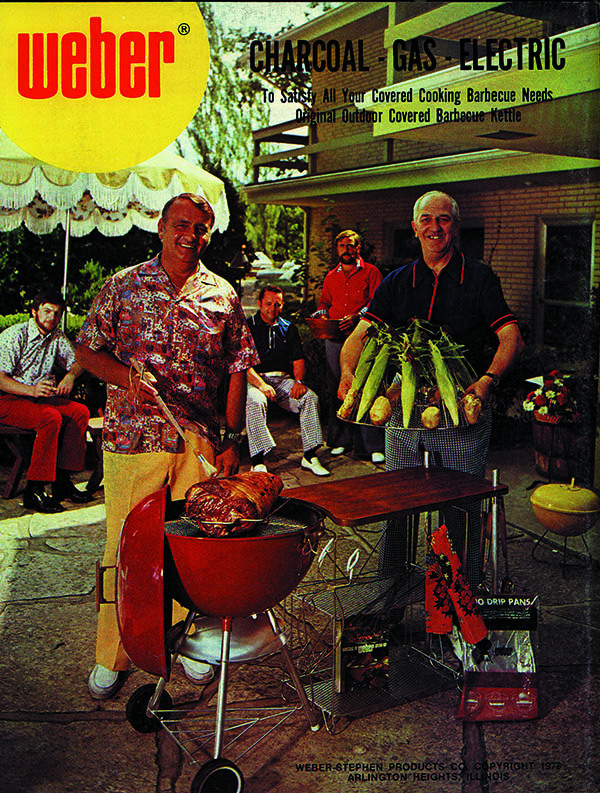 In 1969, Weber built our own porcelain enamel shop, and only used outside vendors if we could not keep up with the demand. By the late ‘60s, through 1977, these kettles were re-branded into the 300, 700 and 800 series. 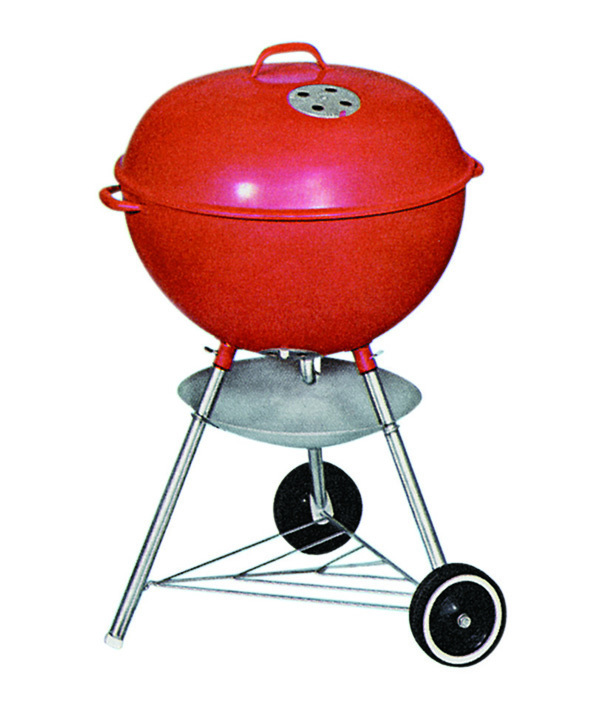 For a couple years, there was a red Smokey Joe (14”). During that time, we also put the 22 ½” red kettle in other models, such as the Sequoia, the Imperial Sequoia, the Imperial Sequoia Wagon, the Seville, the Wishing Well and the Barrel Bar-B-Q. 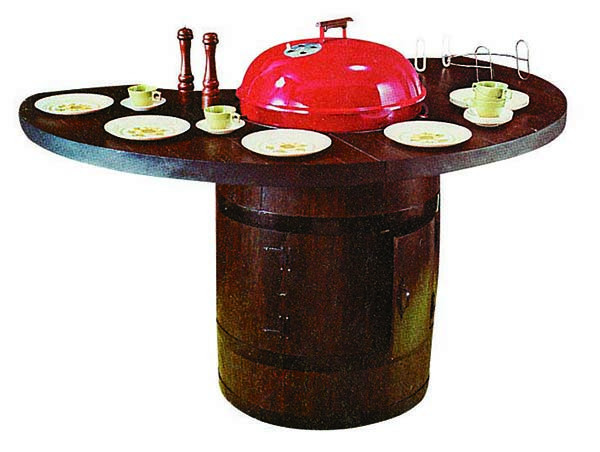 We also had the Weber Fireplace Barbecue that sported a red lid and black bowl, meant to use inside your fireplace. In the late ‘70s and early ‘80s, the 3 sizes of kettles became part of the 3000, 7000 and 8000 series. Our Portable Table Top charcoal grill also came in red. In the mid-‘80s, the 18 ½” red kettle was put into the Imperial Compact Wagon. From 1982- 1999, the One-Touch Kettles were sold in red, in the 18 ½”, 22 ½”, as well as the 22 ½” One-Touch Plus, Master Touch Kettle, Performer Charcoal and Performer Touch N Go. The red kettles were discontinued in 2000 and we are very excited to bring them back today for a limited time. The colors red, white and black have been on our logos for most of our history in some fashion, but eventually the kettle on the logo became the red highlight of the brand, making it easily recognizable world-wide. It's the 3rd Annual BBQ Master Class at the Weber Grill Restaurant!